A load of space station supplies rocketed into orbit from Virginia on Saturday, the second shipment in two days. 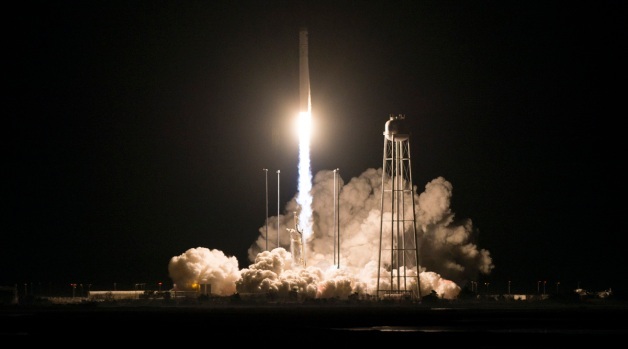 Northrop Grumman launched its Antares rocket from Wallops Island before dawn, delighting chilly early-bird observers along the Atlantic coast. The Russian Space Agency launched its own load of supplies to the International Space Station on Friday, just 15 hours earlier. The U.S. delivery will arrive at the orbiting lab Monday, a day after the Russian shipment. Among the 7,400 pounds of goods inside the Cygnus capsule: ice cream and fresh fruit for the three space station residents, and a 3D printer that recycles old plastic into new parts. Thanksgiving turkey dinners — rehydratable, of course — are already aboard the 250-mile-high outpost. The space station is currently home to an American, German and Russian. The launch was originally scheduled for Thursday but was rescheduled due to bad weather. 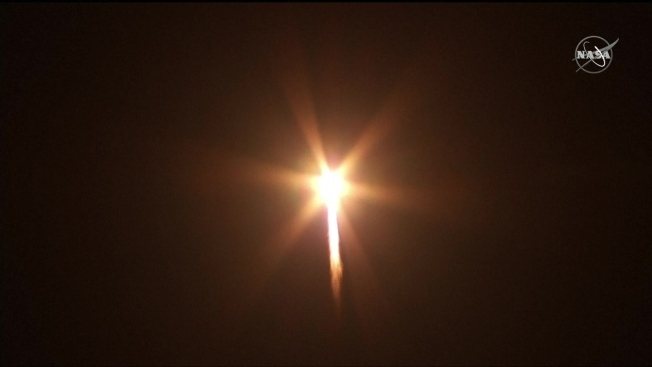 NASA officials said conditions Saturday were clear, and a bright light from the launch could be seen as far away as D.C. There's another big event coming up, up there: The space station marks its 20th year in orbit on Tuesday. The first section launched on Nov. 20, 1998, from Kazakhstan. This Cygnus, or Swan, is named the S.S. John Young to honor the legendary astronaut who walked on the moon and commanded the first space shuttle flight. He died in January. It is the first commercial cargo ship to bear Northrop Grumman's name. Northrop Grumman acquired Orbital ATK in June. SpaceX is NASA's other commercial shipper for the space station. Experiments also are going up to observe how cement solidifies in weightlessness, among other things. There's also medical, spacesuit and other equipment to replace items that never made it to orbit last month because of a Russian rocket failure; the two men who were riding the rocket survived their emergency landing. Three other astronauts are set to launch from Kazakhstan on Dec. 3.